Another week of being a Human in IT Infrastructure. Are you still alive to talk about it? IN THIS WEEK'S ISSUE: The Consultant's Story; Getting Inside The IETF. Please remember to enable the images; the magazine looks a lot better that way! Quick Survey: Who's The Worst? Peeps or Cadbury Creme Eggs? Or both? The team is gathered around the table wearing old trousers, sneakers, and ‘free’ t-shirts from a wide range of vendors. They drink the stale, bulk-buy instant coffee from the kitchen. The discussion includes a fair amount of resentment at the lack of pay rises or bonuses. The managers wear worn suits with cheap leather shoes, pretending that they are important and valued. In review sessions, it's clear they work hard, but there isn’t enough time to cover all the work. They aren’t the best people I’ve worked for, but they care about the company in a “want to keep my job” kind of way. I’m not here to judge whether their work is useful--that's for management specialists. I think back to my walk through the car park as I arrived. Older cars, mostly second hand, looking well maintained but still a little tired. I’m a consultant (hired directly over the Internet because recruitment fees are expensive) to review the proposals and offer advice about a major purchase. I’m here to help fit a project into the budget. There have been a number of network failures over the last year. The budget has been sliced with a spreadsheet, resulting in a made-up number of dollars available for ‘solving the problem.’ The number has no basis in reality. A quick review of existing infrastructure highlights long-term under investment in the network. Physically, the network is less than 10 years old but fear of failure means that the devices haven’t been updated since installation. No one can remember why they bought the equipment they have, the cabling isn’t right, and the level of networking capability is narrow. They know what they know, they don’t know what they don’t know. The resellers have been here for the last two days, pitching their solutions. It is immediately clear that reseller competence is limited to a single vendor because they don’t have the budget or available staff to expand. Any questions about other vendors lead to puzzled looks. Clearly, they don’t bother to learn what the competition is doing; they have one vendor for networking, and that's it. Any moderately complex questions are noted and will be answered later because the person who can answer that isn’t here today. Turns out, there is only one person who can answer the question anyway because the reseller has a small networking team, say less than five people. All of the proposals are basically the same. Same vendor, same products, and roughly the same design. When asked, they admit that they have ‘engaged’ the vendor who produced the design. So we have three identical proposals from resellers that were produced by a single vendor employee who has a limited knowledge of the actual solution but ‘approved’ the same design for each reseller. During phone interviews, it's easy to see that the resellers don’t really understand why the specific products were chosen or why the solution costs so much. They've simply taken the vendor document and copie/pasted into their own proposals. Just like last time, none of them realize how obvious this is. The reseller employees have become friendly with the team over the last few years. They don’t just sell networking, they sell anything that the customer needs in the IT arena. The relationship might be a little too cozy and the reseller is taking advantage of poor leadership by the managers, who are too tired and busy to care much. Everyone is upset when I ask uncomfortable questions, clarify logic, and challenge assumptions. The ‘preferred’ reseller starts to complain that solution is the best available. The managers are getting excited thinking they can use the disruption to drive a better price. They are supporting me while their own staff supports the reseller. The reseller can see the deal coming unstuck as I highlight the hugely over-specified hardware in the design. Of course, the reseller points to the vendor who created the design and says it wasn’t them. The sales rep starts to panic and makes an attempt to undermine my position. He hasn’t done his homework and isn’t aware of my background or why I’ve been brought into the process. The managers finally spark into life and gently point out that I’m here to help evaluate the solution and get the best result for them. I ask the reseller people if they understand the requirements and the solution. Of course, they say they do. So I drill in to the decision-making process to understand the justification for unnecessary hardware and software. The usual responses come out: quality, trust, future growth, flexibility, long lifecycle. This company doesn’t need those things: it's starved for funds and just needs to survive. I’m in the final meeting with the managers. The process has to be wrapped up this week and a-decision-must-be-made. All three resellers on the short list have offered the same solution from the same vendor. I discuss the business reasons why this happens. I explain the vendor has enormously over-specified the solution because that's standard practice. It’s not malicious or likely intentional but all vendor designs inherently lean into high-value solutions, and most vendor employees lack the field experience to rightsize their designs. The solution will work but the team will struggle to cope with extra technology that isn’t necessary or relevant. The solution costs three times more than budget available. Something has to give. I’m asked for options. I’m prepared for this. I look down at my list. I recognize that the team wants to stay with the trusted vendor because that's what they know. It's going to be hard to persuade them to change for fear of losing skills and what they know. The reseller is a trusted party and my advice isn’t what they want to hear. Managers just want this to go away. 1) Cut back to 60% of the proposed solution, or about twice the budget available. The vendor expects it will get the deal via one of the resellers and is unlikely to discount, so there is no leverage. The largest reductions will come from the reseller professional services component and likely lead to rushed deployment. There's significant risk that reductions will render the solution unworkable once deployed. 2) Headcount reductions to cover the funding gap within the year. 3) Cut something else from the budget to allocate to the network. Recommend finding a network-specific reseller that can offer new proposals with different vendors, technology, or structure that can fit the requirements and the budget. Network-specific resellers are more likely to propose a better solution. This could upset the incumbent reseller, who may react negatively at the loss of a deal. The team may also be upset because they are friendly with the reseller and don’t want to see their ‘hired friends’ lose out. On the other hand, networking isn’t a big deal to the reseller because they make 90% of their revenue selling MS Office licenses, servers, and desktops, and they might be relieved to get out of the deal.The sales rep wants the commission badly, perhaps badly enough to put the reseller on the hook for a solution it cannot properly support. The managers are tired of the network problems but also don’t want to keep spending valuable time with resellers instead of on core activities. Instead of funding a new network, point out that the existing network equipment is fit for purpose but needs an overhaul and update of the design. There are two key factors here. First, the existing team will certainly oppose this since they hope to keep their careers relevant, and have been working on the new design for a year or more (sunk investment). Recommend allocating some funds to training and conferences (knowing it won't happen) to placate people who are disappointed. Second, the update will require a number of planned outages and outside skills to supplement the team. Recommend allocating funds for reseller services knowing that the reseller is not competent to deliver the design because they rely on the vendor professional services that will want to be paid. Finally, an upgrade will require deep and continuous engagement, which won’t be possible at the reseller's day rate. Which do you choose? Are any of these outcomes a win for everyone concerned, or even most? In the end, the process that we use to buy technology is badly flawed. It's a sliding scale where customers rarely understand what they are buying, resellers don’t know what they are selling, and vendors lack real customer awareness. Enterprise IT has many problems to solve if it's going to push back against the transition to public cloud, which is much easier to buy. Right? Interop ITX takes place May 15-19 at the MGM in Las Vegas. Join Greg Ferro and Ethan Banks for The Future of Networking Summit – a two-day session where we’ll take a deep dive into next-generation developments in wide area networks, data center networking, network operations, and software-defined security. Register for Interop ITX and attend other hands-on workshops like The Future of Data, Container Crash Course, Dark Reading Cyber Security Summit and the Open Source IT Summit. The event’s Conference tracks focus on Security, DevOps, Cloud, Infrastructure, Data & Analytics – all the technologies you need for a successful Full Stack IT strategy. If you’re looking to accelerate your career, there are also plenty of sessions on leadership and professional development. Plus, check out over 100 vendors at Interop ITX’s Business Hall where you’ll have an opportunity to meet with leading and emerging tech vendors. Join us at Interop ITX this May. 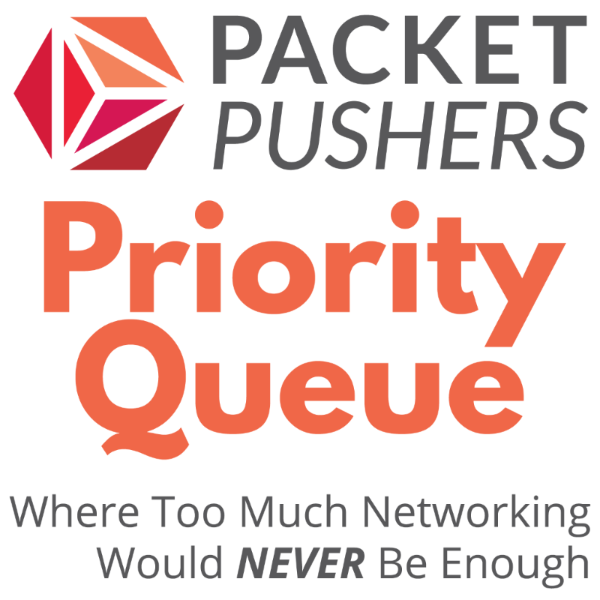 Use promo code: PACKETPUSHERS when you register, and you’ll receive 20% off any pass. We want to see you in Vegas, so visit interopitx.com and reserve your spot today. I attended the 98th meeting of the Internet Engineering Task Force (IETF) in Chicago in March 2017. What is the IETF? The IETF is made up of folks that write, among other things, the RFC documents you hear so much about in IT--especially networking. As such, the IETF is a standards development organization (SDO). The IETF meets 3 times per year, with locations scattered around the globe. In between the meetings, mailing lists are the crucial communications tools where ideas and documents are developed and critiqued. Anyone can participate in the IETF. All mailing lists and meetings are public. There are over 1,000 IETF videos on YouTube. The meetings cost several hundred dollars to attend, plus travel and lodging. Remote participation in the meetings is possible. Each meeting room has a screen and projector where remote participants can be seen and heard by those who have gathered in person. What Does The IETF Do? The way I think about the IETF is that they are in the Internet problem-solving business. The Internet is a complex internetwork that operates at a global scale. The Internet is a platform for commerce, free speech, and knowledge sharing. The Internet is, in this sense, a global equalizer of great interest to all of humanity. Admittedly, that sounds grandiose, but those are the facts. However, the Internet is also technically challenging to operate, as you might imagine any network functioning at global scale across many service providers would be. The Internet is also politically challenging to operate, spanning every continent and country, with ramifications for governments and their peoples. Therefore, while the problems the IETF attempts to solve are largely technical, these technical problems have a backdrop of business and global politics. That means that the IETF does not operate in an environment of technical idealism. Rather, IETF solutions are often compromises designed to meet as broad a number of (sometimes competing) requirements as possible. Interestingly, the IETF also tackles issues that affect small, local networks. That means that the “Internet engineering” part of the IETF is sort of a misnomer, as much of what the IETF works on are technologies that are, in fact, not deployed at a global scale, and might not impact the global Internet directly. We’ve been critical of SDOs and the IETF in particular on Packet Pushers podcasts over the years. However, we don’t merely want to criticize. We’d like to do a little more than cast stony aspersions. We’d also like to bridge the gap between regular network operators and the IETF. There’s this idea that the IETF is a sort of prophet handing down the tablets from the mountain with RFCs written on them. The process is quite different from that, so much so that I wish I’d been involved as a younger man. To help us with these goals, the Packet Pushers have been sponsored by Huawei to attend two IETF meetings in 2017. Huawei didn’t ask for anything other than we attend and cover the meetings for the benefit of the broader networking community. I attended IETF 98, and was lucky enough to capture five recordings. You’ll hear those on the Priority Queue channel as episodes 111 - 115, starting this week. Give them a listen to hear us discuss several interesting drafts, including BIER, RIFT, and BGP as a control plane for service function chaining (SFC). We’ll also hit goings-on in the world of DNS, IETF hackathons, YANG, and telemetry. These are all issues that seemed to me to be of interest to the broader networking community as they might affect us in the real world someday soon. I was also able to record a show on the FreeRangeRouting project, a fork of Quagga. FRR is not an IETF issue specifically, but thanks to Russ White, I was able to chat with a lead developer and a lead tester for FRR who happened to be in town for IETF 98. Greg will be attending IETF 99 in Prague during July, and grabbing some recordings there as well. With any luck, all of this activity will prompt more of us to be involved with the IETF. I wrote quite a bit more about my first IETF experience, which will be posted at PacketPushers.net later this week. This article is just an excerpt. Join Viptela and the Packet Pushers at Centrifuge! If you're attending Interop ITX in Las Vegas, you're invited to join Viptela, the Packet Pushers, and your networking peers for live event with food, drink, and great conversation. Bring your questions, challenges, and future projections to discuss, and get an opportunity to learn about the latest in SD-WAN from network architects and engineers. And don't forget to say to 'Hi' to Greg Ferro and Ethan Banks from the Packet Pushers. Register here and we'll see you in Vegas! 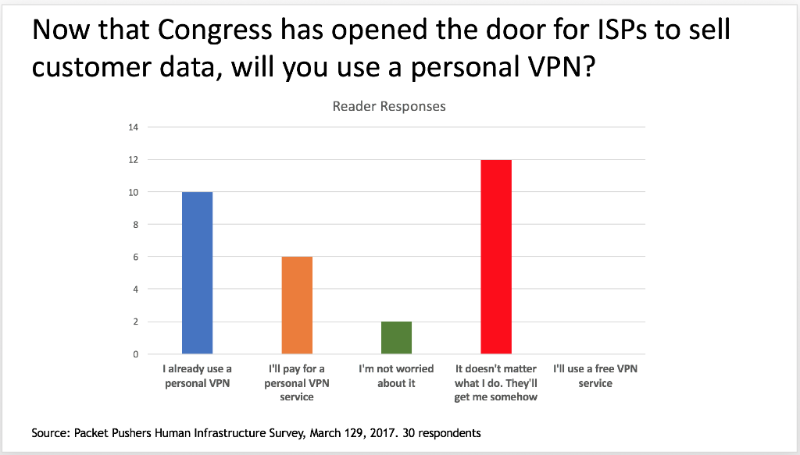 The Packet Pushers have talked about SD-WAN a lot over the past couple of years, so we thought it might be a good idea to shut up and give you a chance to tell us what you think about it. 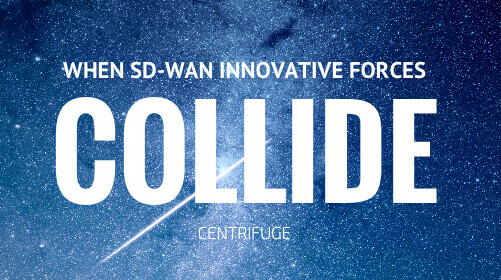 We put together a survey to get an idea about your interest in SD-WAN. Our goal is to get some vendor-neutral data on questions like current and potential adoption, WAN challenges, and relevant features and functions. If you have a few minutes, we'd appreciate your responses. The music streaming service Spotify pulls back the curtains to share how the company designs and runs its own DNS infrastructure in house. It's a detailed post with lots of illustrations that describes how the company handles automation, service discovery, monitoring, error reporting, and more. "Only when you entangle yourself in DNS do you realize new ways to break it, some weird intricacies, and esoteric problems. And there is certainly no better way to bring down your entire service than to mess with DNS." If you believe in a perfectible future, you probably shouldn't read this post from Martin Sústrik. Sústrik draws an analogy between software and DNA to explore the idea that big changes in code just aren't possible any more. Instead, we're stuck with small, incremental, ad hoc steps that, like evolution, are driven by natural forces moving in unknown directions rather than careful design. "We are stuck with technology we have. Any radical alternative will be crushed by the sheer momentum of the code already out there. And, by the way, it’s not going to get any better, so get used to it." Achieve Your Dream Career By Setting Smart Goals! It's an exciting time to be working in the networking and IT industry. With many companies hungry to hire talented engineers, networking can be an attractive option for those considering a technology career or even for someone considering a mid-career change. But how can you tell if a career as a network engineer is the right choice for you? Which particular specialty in networking would best fit your interests and aptitudes? One great way to make a confident decision is to talk with an expert in the field; someone who's walked the path you're considering and who can help you set smart goals, as well as show you the steps necessary to achieve those objectives. If you or someone you know are considering in a career in networking, join us on April 27th for a live Q&A webinar with one of our highly respected instructors, Keith Bogart (CCIE #4923). And get 15% off an All Access Pass subscription to INE. Click here for details. 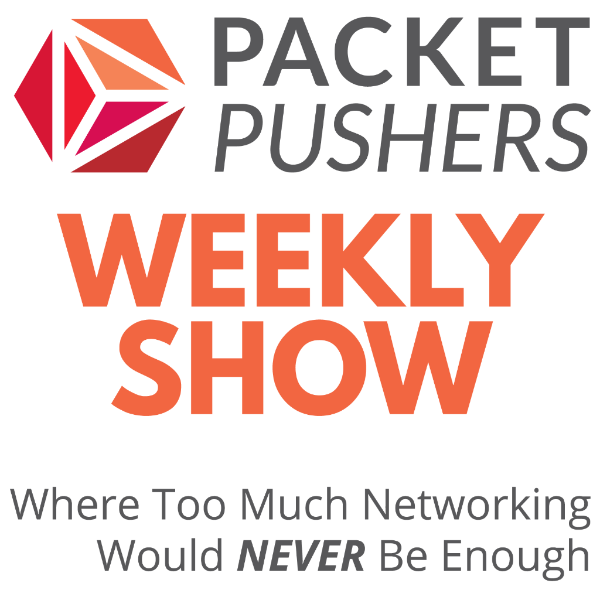 The Weekly Show channel is our one-hour deep dive on networking technology. Subscribe today! There's a new open source router on the loose. The Free Range Router (FRR) is a fork of the Quagga project. This new version is being driven by companies including Cumulus Networks, 6Wind, and Big Switch Networks that were unsatisfied by the pace of development in Quagga. FRR is being overseen by the Linux Foundation. PQ Show 110: Is The CCIE Fading In Value? Where we collect some videos that make us reflect, think about our inner lives, or just entertain us. 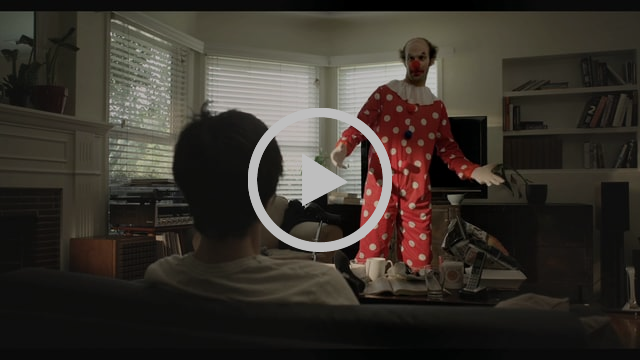 After a bad breakup, the comedian Tig Notaro experiments with Clowns as a Service. Can't get enough newsletters? Check out Link Propagation, our newest publication. We send you a free weekly digest with tech news, interesting blogs, and industry announcements, all curated by the Packet Pushers. It's an easy way to keep up and stay informed. 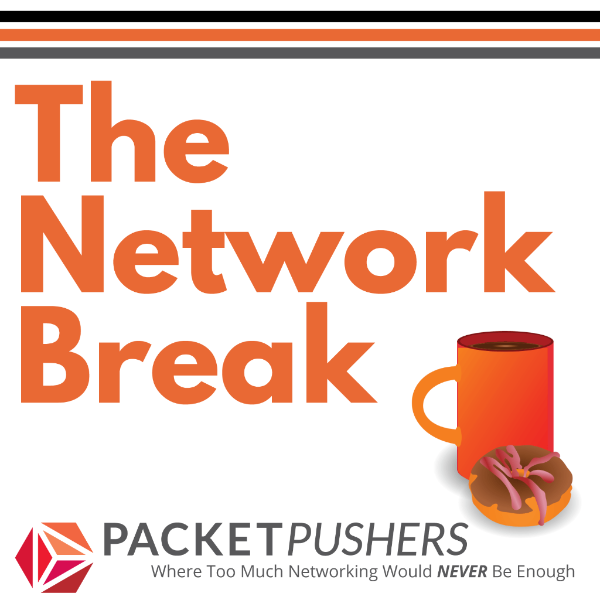 Subscribe at packetpushers.net/link-propagation. It hasn't been a great month for consumer rights in the ISP and airline industries. Which of these businesses is the worst when it comes to customer treatment?